While reading this article on ten breakthroughs in biofuel production technology, a sobering thought occurred to me...does the US Department of Energy catalog these sorts of innovations at all? Perhaps even a non-partisan, pan-energy public advocacy group of some sort? Some sort of organization with direct clout with the movers and shakers in the country? Or are the only the methods looked at and debated the ones backed by industries with accompanying lobbyists and press release barrages? After all, agricultural interests have a huge stake in corn ethanol. 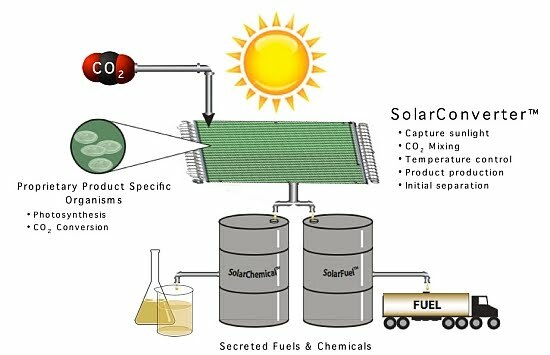 Half of the processes in the article relate to biofuel production from various farm wastes, but does anyone in the Texas Corn Producers Board know that any of these technologies exist? Any state legislators? Any average citizen who writes to their politicians? With crude oil production dwindling in popularity (and possibly reaching a global peak), more efficient ways of making fuel to run our cars and heat our homes will have to complement oil use, then take its place to maintain some semblance of the modern American lifestyle. Why isn't this a louder, spelled out talking point for the Democrats? For the national security-loving Republicans or even the self-identified Tea Party activists (I don't mention Greens because they are already on-board). Between partisanship at a high point, and the party bases preoccupying themselves with their own ideological bubbles and talking points over social/foreign policy issues, I'm not sure at what point ANY of these kinds of innovative thoughts enter the think tanks and Cabinet-level officials. But with the dizzying number of advocacy groups in Washington DC, combined with the limited amount/narrowed spectrum of information all the bureaucrats in important positions get on certain technologies, who knows what other widespread innovations in American are being bottlenecked right now by absolute ignorance (ironically caused by information saturation at all levels)? I think a case could be made for the federal government becoming too complex to effectively innovate and plan for long-term infrastructure. However, clear-cut visions for new energy technologies need to be injected into US domestic politics on all sides of the political spectrum, or we'll have to deal with national averages of $4, $5, then who-knows-how-much per gallon at the pump.